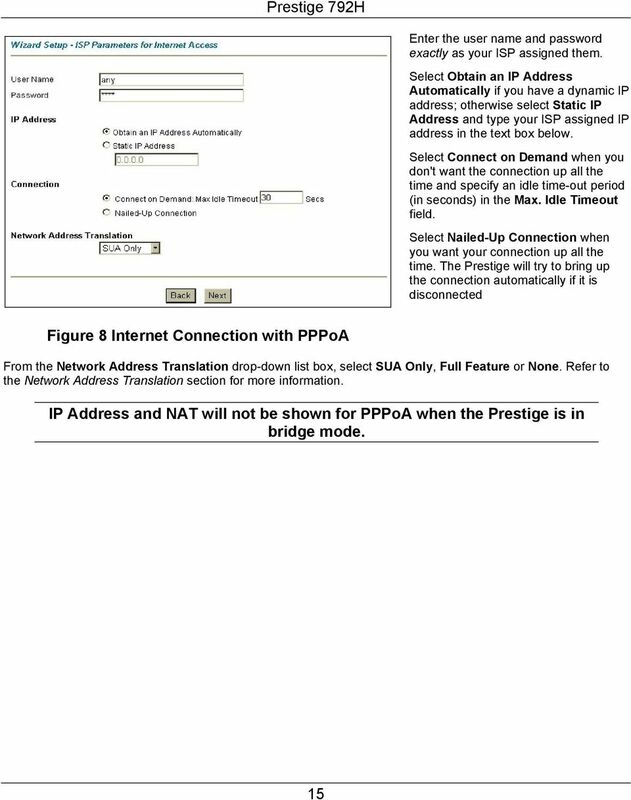 Download "Prestige 792H. 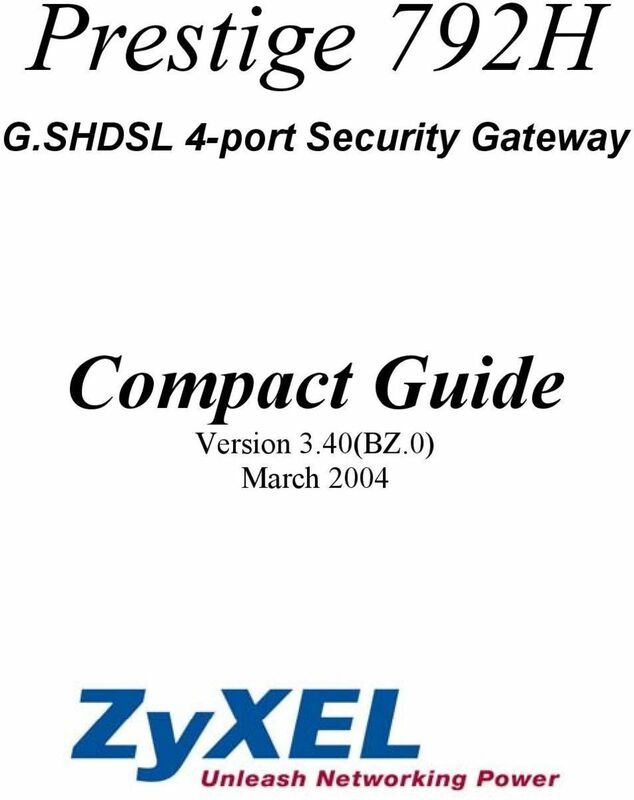 G.SHDSL 4-port Security Gateway. 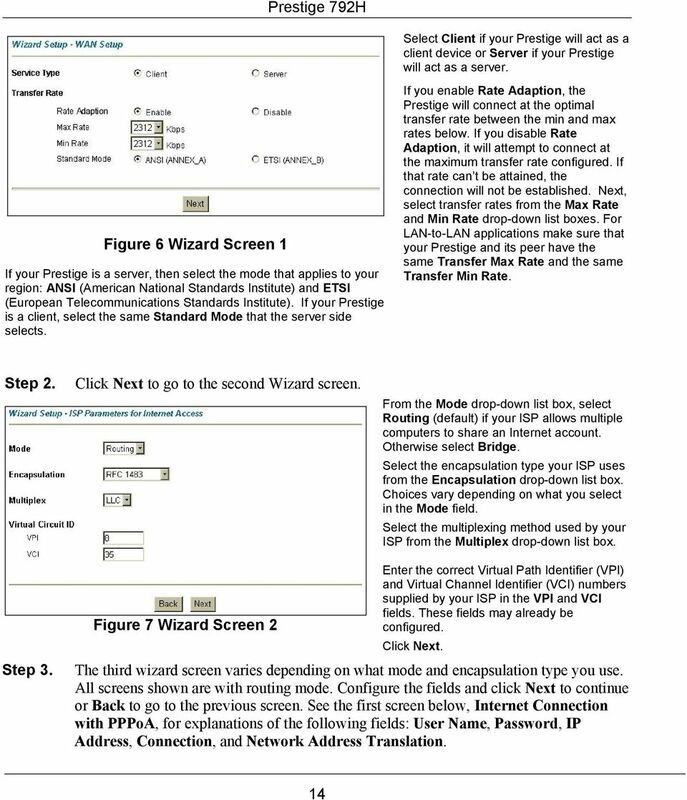 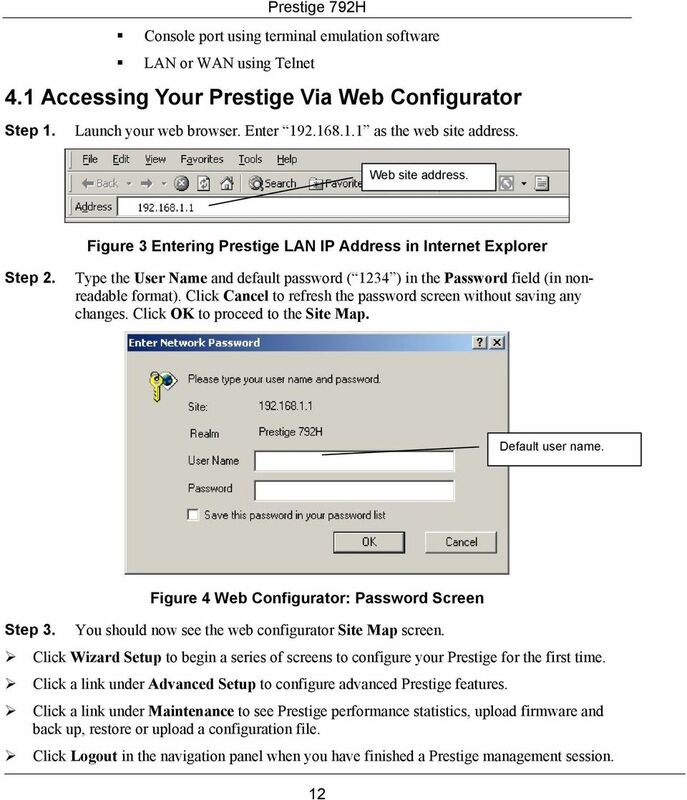 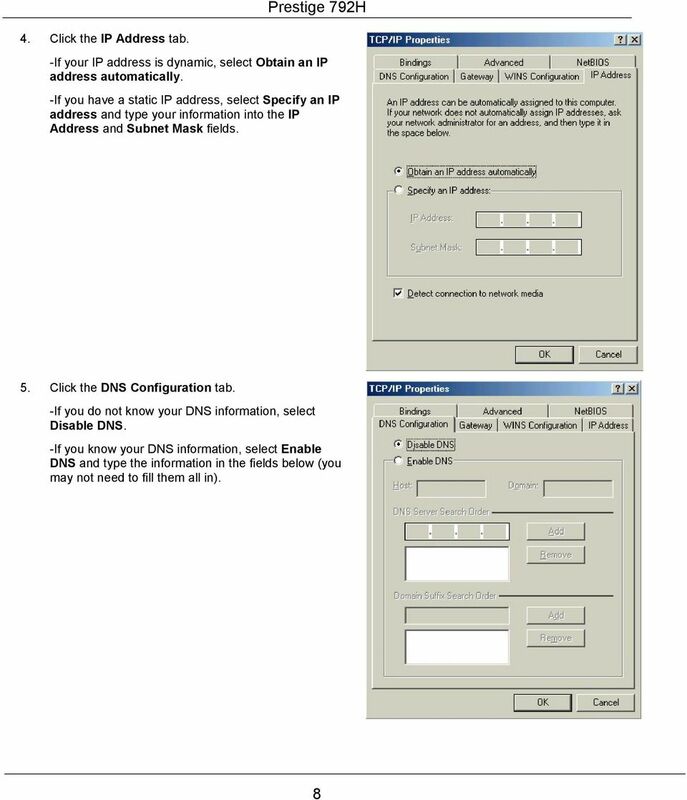 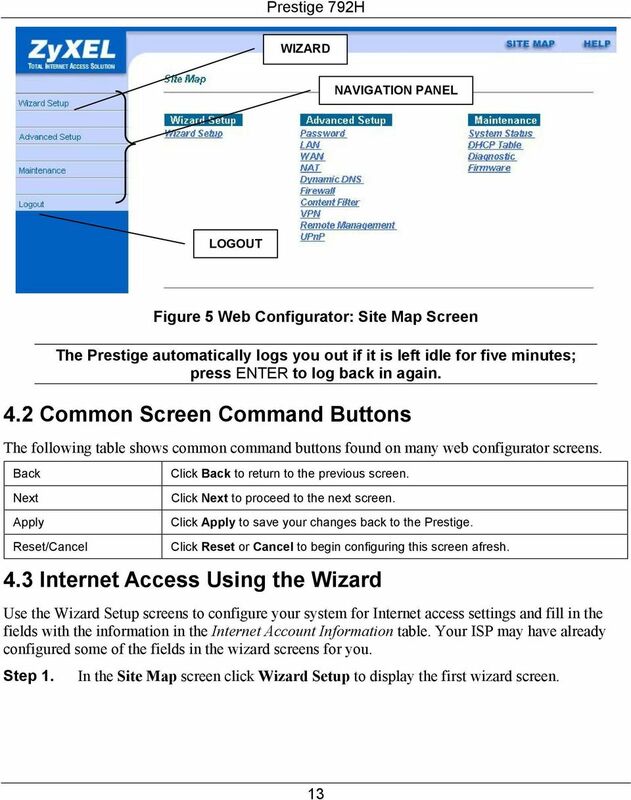 Compact Guide Version 3.40(BZ.0) March 2004"
Setup The Setup screen is the first screen you will see when accessing the Gateway. 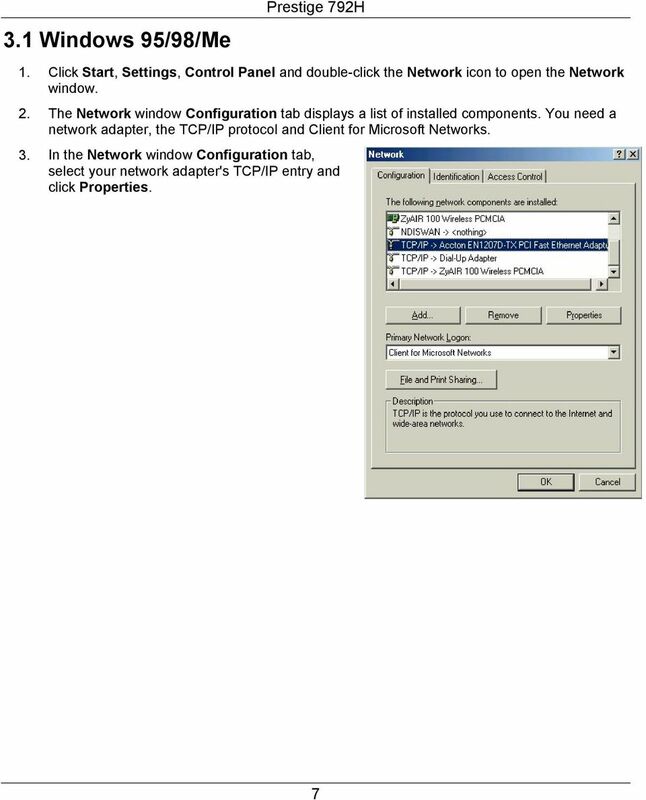 Most users will be able to configure the Gateway and get it working properly using only the settings on this screen. 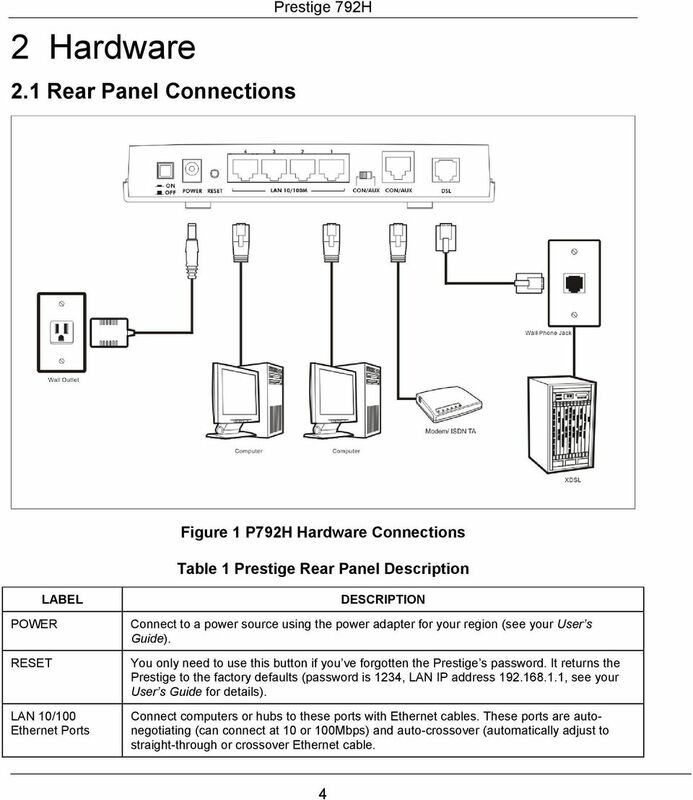 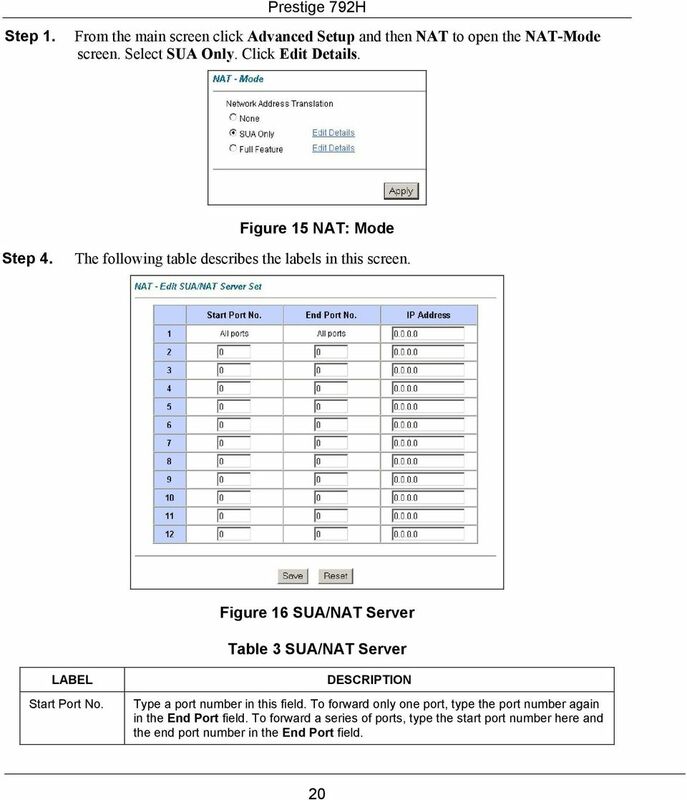 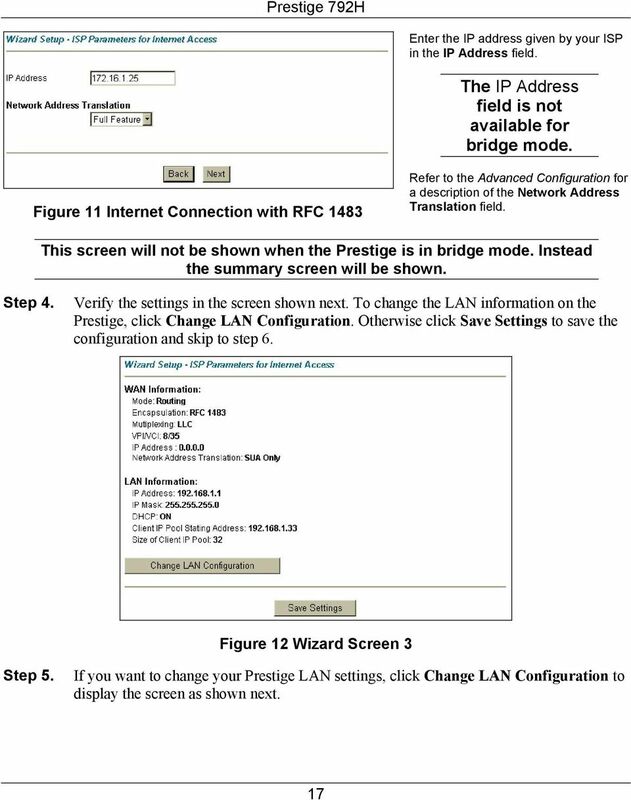 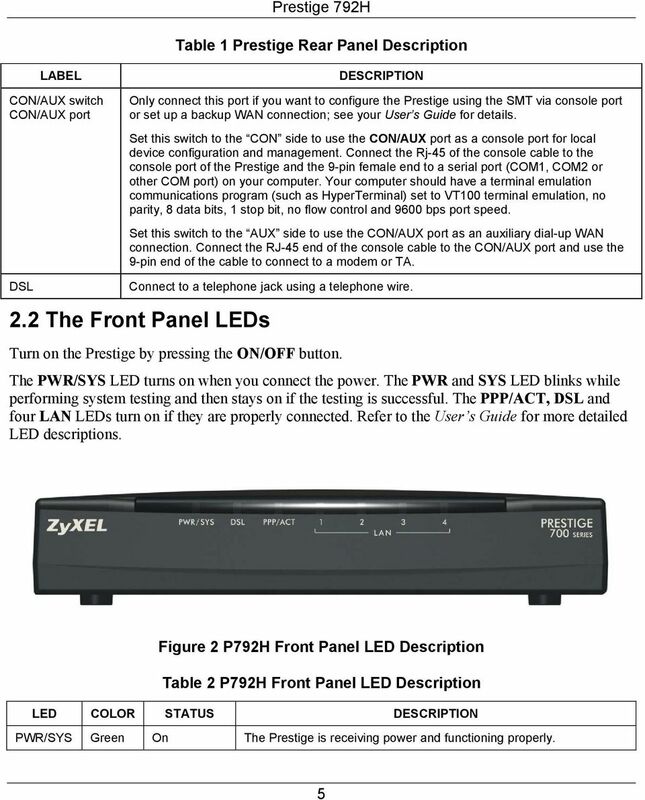 Broadband Router User s Manual Table of Contents Chapter 1 Introduction...4 1.1 The Broadband Router......4 1.2 Physical Features of Broadband Router...4 1.3 Non-Physical Features of Broadband Router..
P-660H-T1v3s. 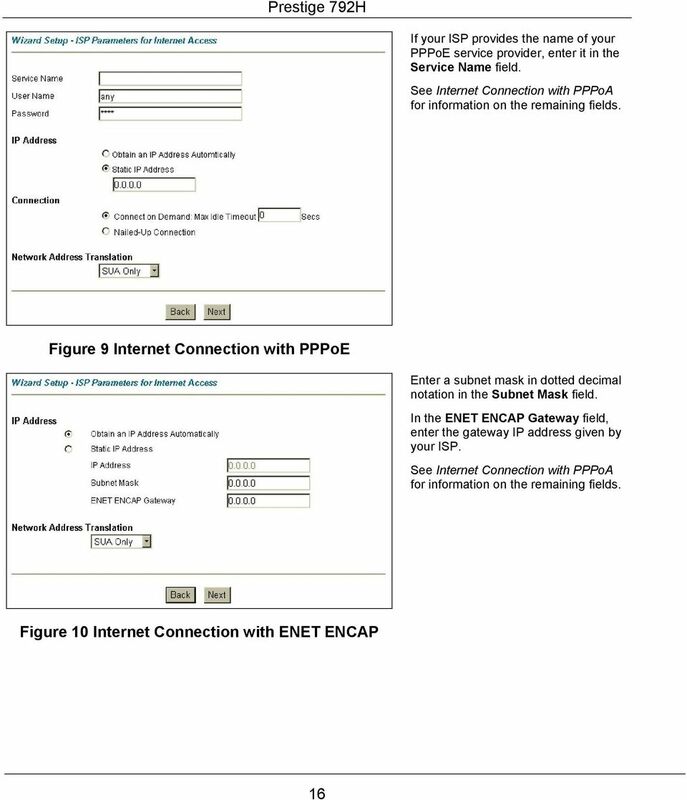 ADSL2+ 4-port Gateway. 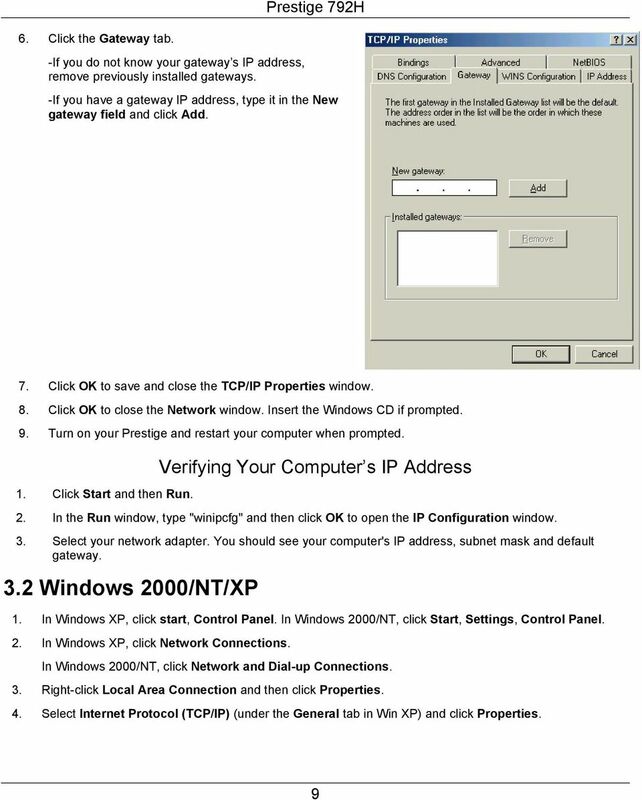 Default Login Details. 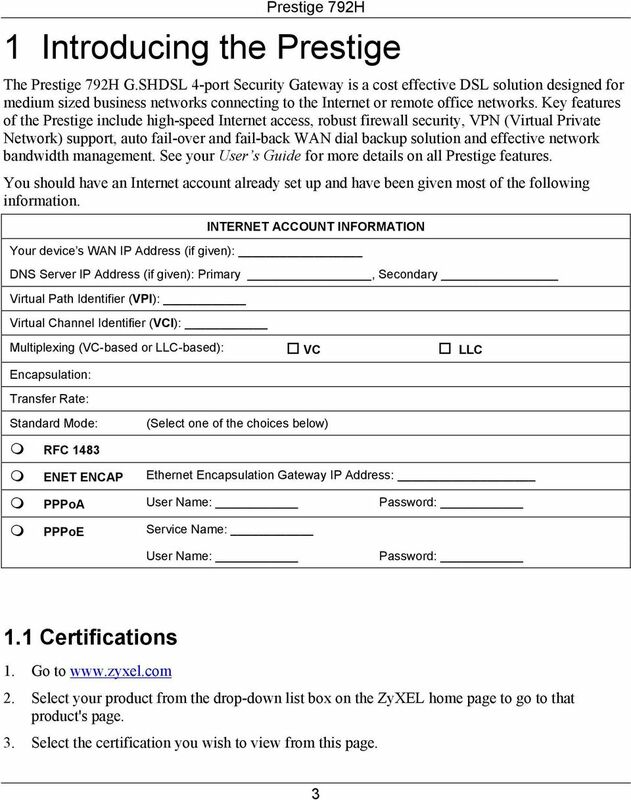 www.zyxel.com. 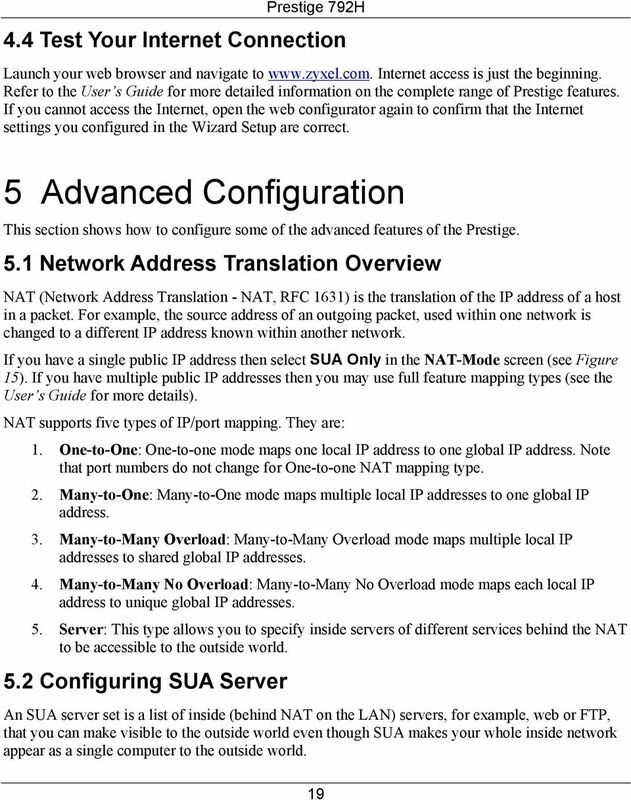 Edition 2, 6/2010. 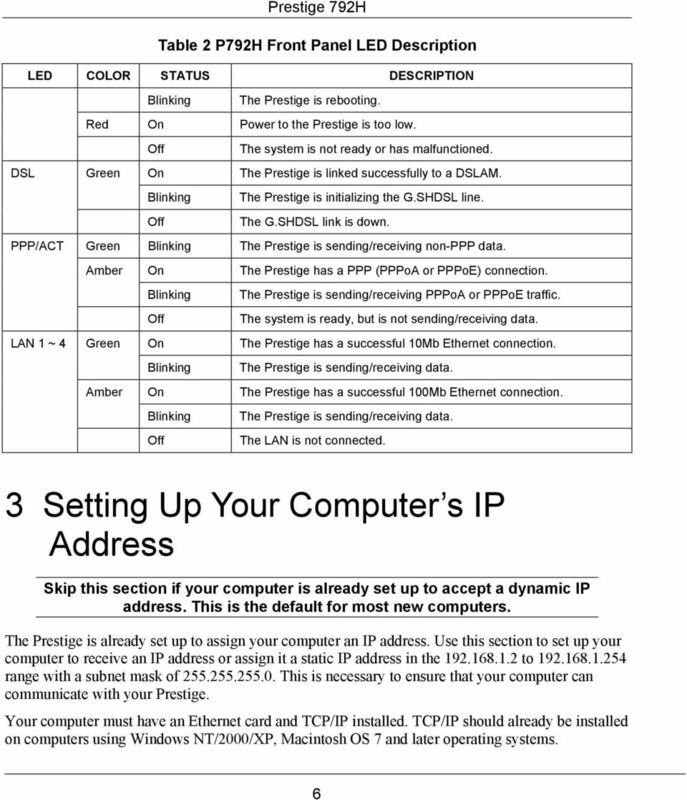 IP Address http://192.168.1.